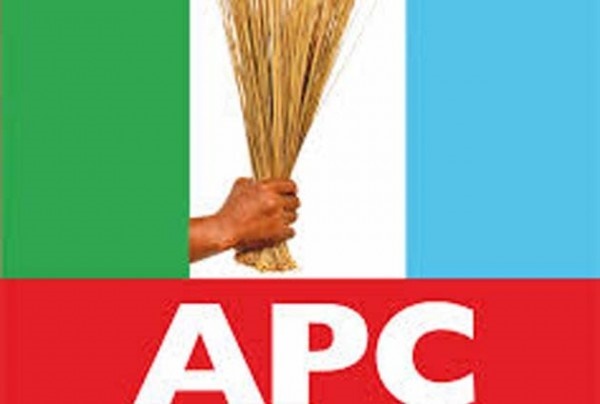 The All Progressives Congress says President Muhammadu Buhari lacks the power to determine tenure of its officers. The All Progressives Congress (APC) has told a Federal High Court in Abuja that President Muhammadu Buhari lacks the power to determine tenure of its officers. The party made this known while opposing the hearing of the suit by aggrieved members of the party over the tenure elongation of the John Odigie-Oyegun led-National Working Committee (NWC) before the court. The aggrieved members, led by Ademorin Kuye and Are Mutiu (Lagos); Sani Mayanchi (Zamfara); and Machu Tokwat (Kaduna) had earlier sought an ex parte order directing the NWC members to show cause why the court should not stop them from continuing as national officers of the party effective June 30. The Independent National Electoral Commission (INEC), the APC, the party’s national chairman, Oyegun and the National Organising Secretary, Senator Osita Izunaso were joined as respondents in the suit. At the resumed hearing on Thursday, counsel to the agitating members, Jibrin Okutepa (SAN), demanded that the case be heard since Buhari had at the National Executive Council (NEC) of the party on Tuesday, admitted that the tenure elongation was illegal. However, defense lawyers, Akin Olujimi (SAN) Joseph Daudu (SAN) James Onoja (SAN) and Idris Yakubu, asked the court to adjourn the matter to enable them respond to the originating processes just served on them. Daudu, standing as the counsel to the APC, argued that Order 7 Rule 1 provided for 30 days from the date of filing the suit for a reply. He therefore asked the court to discountenance Okutepa’s submission. Responding to the president’s comment on Oyegun and others’ tenure elongation, Daudu said whatever view thereof was Buhari’s personal opinion and carried no weight until the party met and deliberated on the matter. Ruling, Justice Nnamdi Dimgba ordered the filing and service of processes before the court and adjourned till April 16 for hearing.